Mother’s Day weekend is often a busy time, and this year is no exception. Kingston is always bustling with things going on, especially in the warmer season. I am sincerely hoping the warmer season is upon us – we’ve had a lot of cool days recently! May is about when I start getting antsy to get outside, in the gardens, and just sitting reading in the sun. As a Mother who has a Mother I don’t usually go to many “events” around town on Mother’s Day weekend. We are more at-home dinners with family types. But that doesn’t stop me from taking note of all the many, many events coming up May 7th and 8th this year. 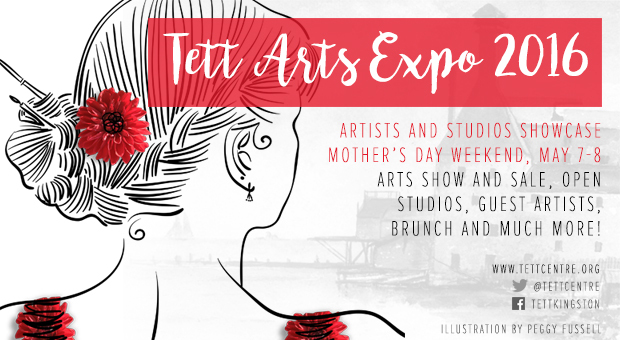 Excepts from the website: The Tett Arts Expo is happening Saturday, May 7th at 9:00 am to 5:00 pm and Sunday, May 8th from 9:00 am to 5:00 pm. Treat your mom to a weekend of dynamic art performances, exhibits and workshops. And as part of United Way’s Success by 6 campaign the Tett is taking part by offering a free children’s program from 2-4 on Saturday with children’s entertainer Gary Rasberry and his blue guitar. There is also a brunch Sunday morning in the malting tower ($25 for adults and $15 for kids 0-16.) You can buy tickets here. If we were in town on Sunday I think this would be my brunch of choice. I have yet to attend an eating event at the Tett, but I love the malting tower and it’s huge big windows! While I was scouring the ‘net for local options for Mother’s Day brunch I actually came across another Kingston blogger. Her name is Tianna, she calls her blog Keep Up With Kingston, and she’s a foodie-type. I’m going to direct you to her post about “Where to Treat Mama to a Meal this Mother’s Day” It’s cute and she has a lot of good options. Tianna does mention Fort Henry as a brunch option. I just wanted to expand on that a bit. 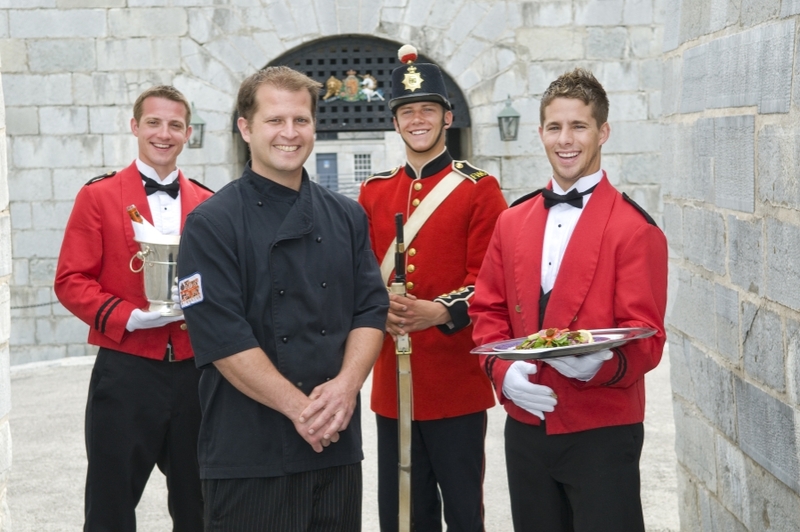 I have never eaten at Fort Henry, but I have heard wonderful things about the food and service there. The Mother’s Day weekend brunch is $15 and runs from 10am to 4pm. The menu and more information can be found here. While this isn’t really marketed as a Mother’s Day event, we are taking the girls on Saturday to Science Rendezvous! It happens at the Rogers K-Rock Centre May 7th. It starts at 10am and runs until 3pm, and it’s free! There’s a schedule of events here (scroll partway down the page to find it.) This is the 6th year for this event in Kingston. I’m going this year because I haven’t been yet to this science event. I love science, and it’s Mother’s Day weekend so I better get to go!! This festival runs from May 1 til the 8th. Again, not really a Mother’s Day event, but a fun, cultural thing for folks who like theatre, dance, art, and all that stuff. There’s a rundown of events here. They describe themselves as: “Kingston’s first ever youth-led, not-for-profit, Youth Arts Festival.” Once my girls are a little older I’d love for them to try out some workshops like these. I hope they will be interested in expanding their horizons by taking advantage of these types of opportunities! So, if you’re looking for something to do, these are just a few things happening in Kingston over Mother’s Day weekend. If you think I’ve missed anything else, please comment below and let me know! I try to be inclusive, but sometimes there’s a lot out there that I don’t hear about. Yes, that confused me earlier in the year as well! Sometimes I forget not everyonw is on the same schedule as us. 🙂 I’m planning to make a post about our trip to Science Rendezvous, so keep an eye on the blog! Thanks for commenting. I can’t wait to check out the science rendezvous. Thanks for the comment – I was quite confused back in March when everyone on Twitter was going on about Mother’s Day! Took me a few minutes to figure out that Brits celebrate it in a different month altogether! I’m hoping to have a great weekend.